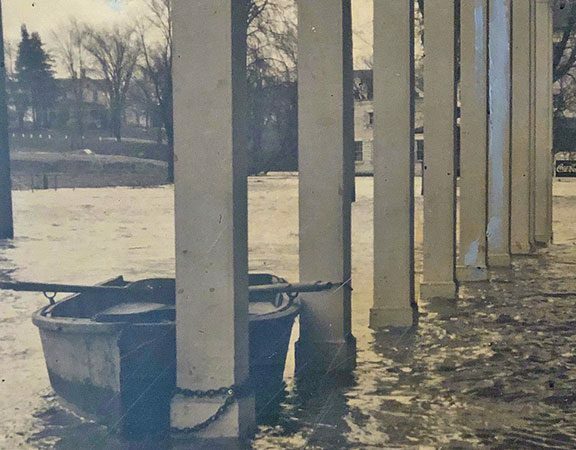 In 1928, William Zehnder, Sr. purchased the Exchange Hotel in Frankenmuth by trading his farm and borrowing $4,000. He remodeled the hotel to give it the look of Mt. Vernon, the home of George Washington, and renamed it Zehnder’s Hotel on Frankenmuth’s Main Street. Zehnder opened the hotel on Mother’s Day in 1929 when 312 dinners were served for $1 per person. 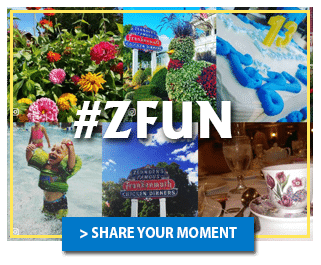 Since that day, millions of guests have visited Zehnder’s of Frankenmuth making it the largest family restaurant in America. 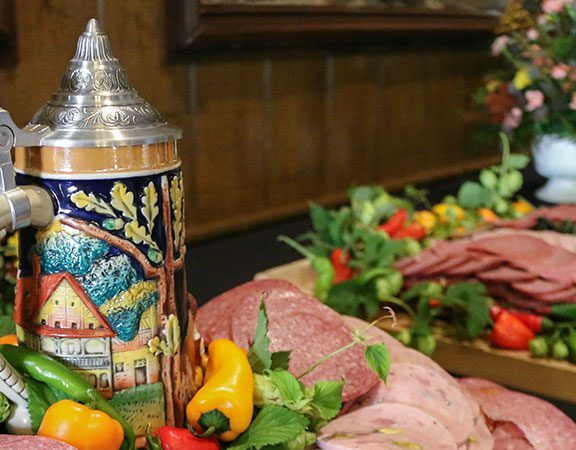 Mother’s Day continues to be one of Zehnder’s most popular days, serving more than 5,000 people in its 9 dining rooms including the Original Room located off the main lobby. Zehnder’s signature entree, the famous Family Style Chicken Dinner continues to be the number one favorite among guests – a true Mother’s Day tradition for many families. This year, Zehnder’s is celebrating 90 years of Mother’s Day! 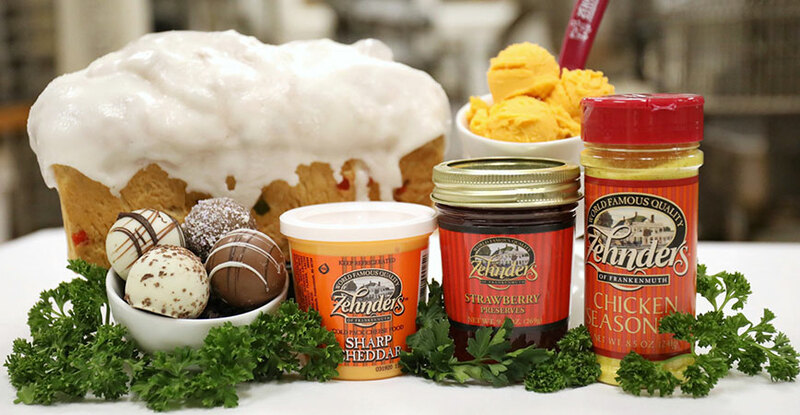 In honor of this special event, we hand-picked a gift box full of Zehnder’s delicacies – some of the same items that are served with our famous Family Style Chicken Dinner. Mom’s Favorites Gift Box includes an 8 oz. tub of Zehnder’s Cheddar Cheese Spread with a Zehnder’s Cheese Spreader, a 9.5 oz. jar of Zehnder’s Strawberry Preserves, a bottle of Zehnder’s Chicken Seasoning and a loaf of Stollen Bread. In addition, Mom can enjoy an assortment of four deliciously sweet chocolate truffles – all for only $69.99 including shipping. A truly thoughtful gift for Mom! Hurry, this special gift box is only available for a limited time. Click here to order online. Zehnder’s is honored to have served Mothers from all over the world for the past 90 years and we hope that you continuing celebrating your traditions with us for many more years to come!